As a founder of Private Capital Group, Bill specializes in comprehensive financial planning to include investment, retirement, estate, charitable, and business succession planning. His goal is to consolidate and coordinate client’s finances into a simple, economical and effective plan to meet their objectives. 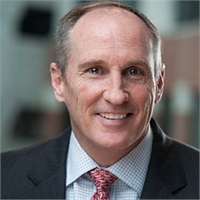 He began his career in 1993 with CIGNA Financial Advisors (later to become Sagemark) eventually rising to the position of Regional CEO for Sagemark. He is an Investment Advisor Representative with PCG.